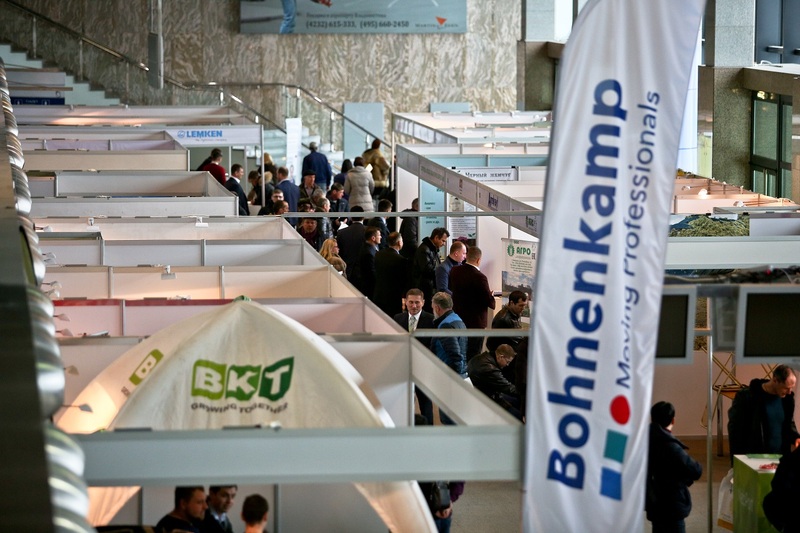 The first international exhibition for professionals of the agricultural sector of the Far East AgroExpoVostok took place from 15 to 17 March 2018 in Primorsky Krai. AgroExpoVostok is a new industry platform that brings together professionals of the agricultural sector, investors, the leading manufacturers and suppliers of machinery, equipment and technologies for agriculture, as well as representatives of government and industry organizations. For three days, more than 750 visitors from Primorsky Krai and surrounding regions were able to get acquainted with advanced developments and new approaches in the field of crop and livestock from leading manufacturers and suppliers of tractors, sowing, harvesting and forage equipment, fertilizers, seeds, plant protection equipment, machinery and equipment for livestock from 45 participating companies. The leading manufacturers and suppliers of machinery and equipment, means of production for plant growing and animal husbandry from Germany, the United States, Sweden, Great Britain, as well as from Moscow, the Amur, Moscow, Nizhny Novgorod, Ryazan and Sakhalin regions, Altai, Krasnodar, Primorsky, Stavropol and Khabarovsk territories, from the Republic of Adygea presented their solutions at the exhibition. The exhibition has confirmed its international status – more than half of the participants are manufacturers from foreign countries. The German exposition was the largest and consisted of 14 companies. The vice-governor of the Primorsky Krai Valentin Dubinin, the attaché on economics of the German Consulate General in Novosibirsk Sophie Komen, the general director of IFWexpo Heidelberg GmbH Stefan Kresse, took part in the opening ceremony of the exhibition. The technical program of the exhibition started with a plenary session Development of the agro-industrial complex in the Far Eastern region: prospects for agricultural producers and suppliers of equipment and means of production moderated by the Director of the Department of agriculture and food of the Primorsky territory Andrey Bronts, who also answered numerous questions of participants interested in business development in the Far East. Another highlight of the business program was the discussion forum Agrarian and food export to the APR countries, within the framework of which representatives of regional holdings discussed the opportunities and challenges for the Far Eastern Federal District, the prospects for the development of production capacities, taking into account export orientation, infrastructure optimization and logistics. The Primorsky branch of AKKOR organized a round table in which representatives of the organization from all over the Far East took part and discussed the burning issues related to the development of agricultural cooperation in the Far East. The seminar Reserves of efficiency increase in feed production was of great interest to farmers, within the framework of which a specialist consultant for fodder production Alfons Goebel raised the issues of crop selection, optimizing processes, use of modern machinery, and logistics and technology of harvesting fodder crops in the short growing season. Within the framework of the exhibition, there were also events on professional potato growing and productive longevity of cows. AgroExpoVostok successfully fulfilled its objectives and confirmed the need to hold an exhibition of this format in the Far East, which gives a unique opportunity to its participants to effectively promote products and services, find new customers, and enter into mutually beneficial contracts in the region. The next exhibition for professionals of the agricultural sector of the Far East AgroExpoVostok will be held in March 2019.